We’ve held the Palette of Colors Fundraising Gala since 2000! Here are some memories from past galas. The 18th annual Palette of Colors Fundraising Gala theme was “Celebrating Creativity”. We held the event on June 2, 2018, at the Chuck Jones Center for Creativity in Costa Mesa. 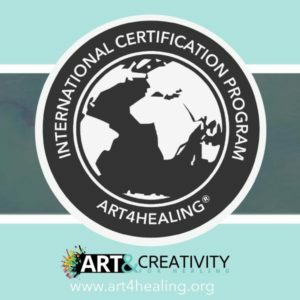 This Center’s vision is a “world where creativity is known and experienced in every discipline, by the many, not just the few”. It was a great fit with our mission! Our Silent Auction will have you talking! Do you like free Gala tickets? What’s up Doc? Our Gala has 24 Carrots! 35 Reasons why you need to attend our Gala! 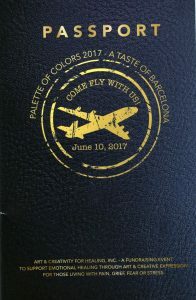 “A Taste of Barcelona” was held on Saturday, June 10th, 2017 at the Lyon Air Museum. It was a wonderful venue to celebrate “A Taste of Barcelona”, literally steps from the John Wayne tarmac! 2017 Gala – Tons of Photos and Thank You’s! Taste of Barcelona Gala – 3 Things to Know!